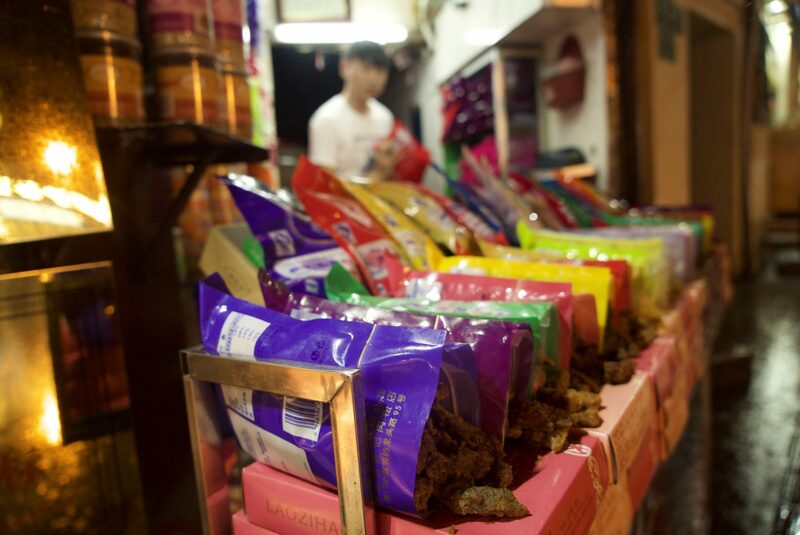 On an island of legendary jerky, none may be more legendary in the eyes of locals than Huang Sheng Ji, which was once just a tiny street stand but after decades of success has now expanded into an almost equally tiny shop next door. Within arm’s reach you’ll find numerous versions of beef, pork, squid, and fish jerkies and flosses, ranging from mild to spicy to pungent, soft to chewy to stringy. Most jerkies are available for free sampling and all are well made, from the classic sweet sticks of candied beef jerky that come in various flavors and bright, primary-colored packages (green is the spiciest, but it’s still not too spicy) to pork floss with the mouth-feel of meat cotton candy.